I was reading a few of my old blog posts yesterday and I found a collection from 2015, it was a brand spotlight on Caudalié and Shu Uemura. I had completely forgot that I had started a brand spotlight series so I thought today would be a nice idea to restart it. With Fairytale Kiss, I do want you to visit my blog and find a review about everything - from beauty products to healthy snacks and I want to be 100% honest about what brands I love. I really adore the idea of doing a brand spotlight and saying why I think you should/shouldn't try their products. I was walking through Peter Jones today (where I spend 99% of my time) and I found myself walking towards the Charlotte Tilbury counter. The make-up artists are so friendly and helpful and I was able to really explain what look I wanted to create. 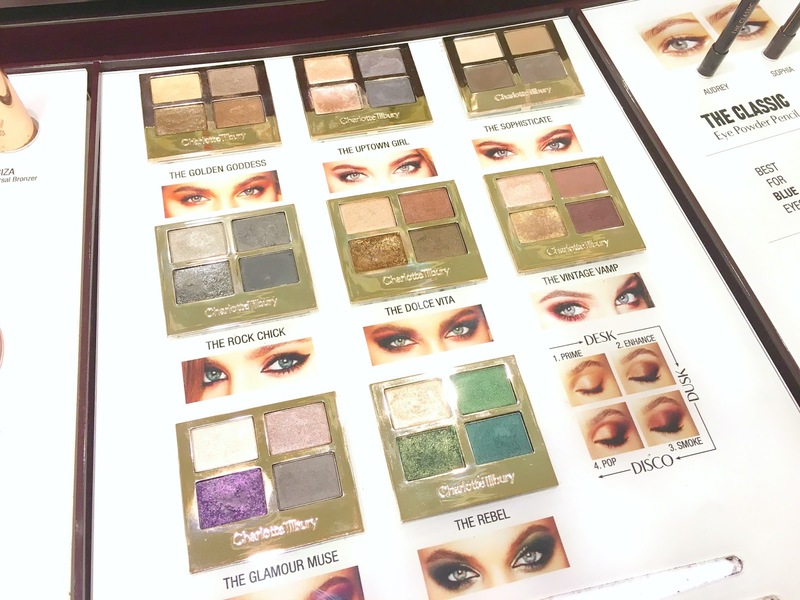 When you first look at the Charlotte Tilbury products, the packaging stands out straight away. 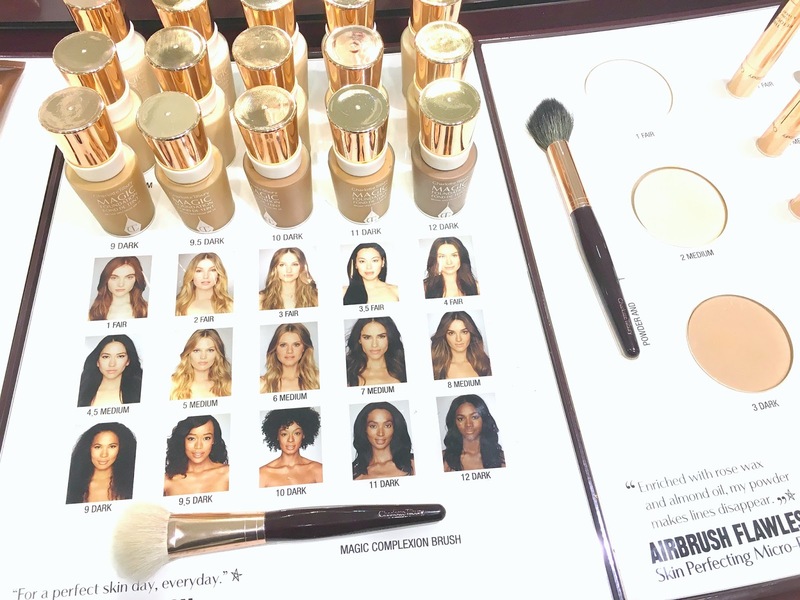 Personally, I always get a 1950's Hollywood vibe but I think the shade range is incredibly modern and fresh. 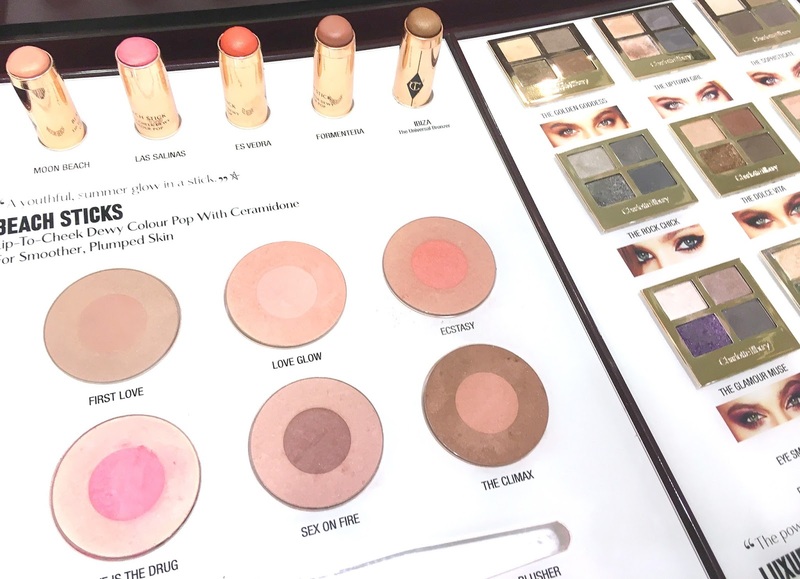 Charlotte Tilbury wants the products to create a red carpet feel and she has said before in interviews that if you want cheekbones like Jennifer Lopez or smokey eyes like Penelope Cruz, her products can help create that. She has said that she would like her collection to be inspired by celebrities rather than models and she loves creating their make-up for red carpet events. 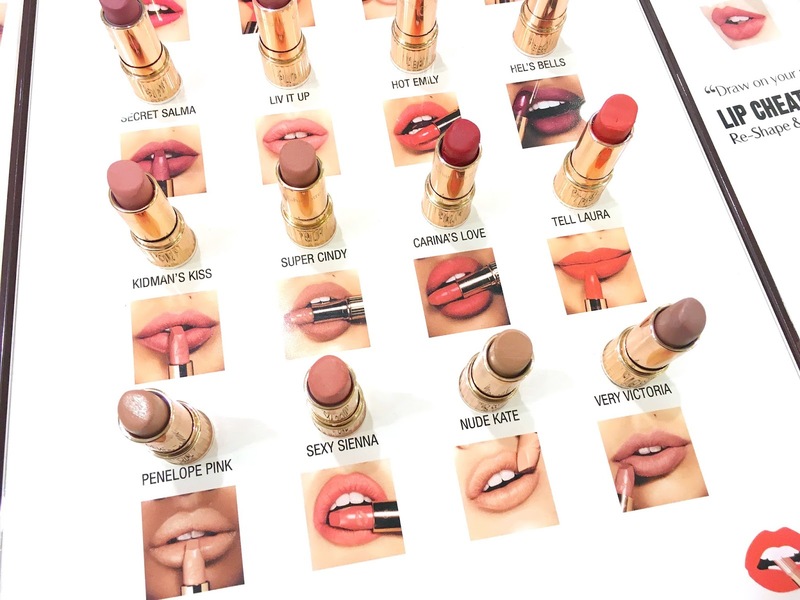 Those lipsticks look wonderful. I just love the names for them. What a great inspiration!